For the U.S. government, old lies die hard, even lies as discredited as blaming the North Vietnamese for the Tonkin Gulf incident in 1964, the non-event that launched the Vietnam War and caused ongoing tragedies for those who bombed and those who were bombed, as Myra MacPherson reported from Hanoi. 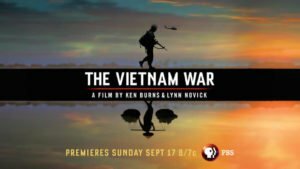 This is Vietnam as seen through the lens of five American ex-soldiers: They returned to their former battlefield, where three saw fierce fighting, to live full time among and to aid the people burdened by two terrible legacies of that war. These tragedies are the thousands of children and farmers who still are blown up or injured by bombs dropped half a century ago that didn’t explode back then. And the chillingly large number of children and adults who suffer from the effects of the world’s most poisonous defoliant, Agent Orange; today fourth-generation children continue to be born with twisted and useless limbs. Throughout Vietnam today, this band of brothers in peace, travel and work tirelessly to help these victims of a war long past. The group includes a poet, a psychiatric social worker, a former aide to a United States senator, a former cop and a long ago gang member who found peace and purpose back here, in Vietnam. They came here as innocent young soldiers but returned to the United States shattered. They never unpacked their pain, anger, sorrow, sense of betrayal, guilt and disillusionment about what had been done to the people of Vietnam. They returned, burdened with memories and driven by a mission. They live from Hanoi to Ho Chi Minh City and points in between — Hue, Da Nang, Hoi An, Nha Trang. Not only are they fighting for the lives of modern-day Vietnamese victims of that old war, they are — like fellow members of the 3,300 Veterans for Peace (VFP} around the world and a large contingent of distinguished Vietnam scholars, historians and peace activists — outraged at the whitewashing they see in a mammoth Department of Defense 50th anniversary commemoration of the Vietnam War that will soon saturate the media and the public. “We will not leave it to the government and war hawks to tell a one-sided tale of guts and glory,” blasts the VFP organization in its Full Disclosure Campaign. After protests in January, commemoration officials said they were backing off disseminating educational materials or curricula containing solely the Pentagon’s views and would seek outside review. However the Gulf of Tonkin “attack” lie, as of now, remains in their website time line. 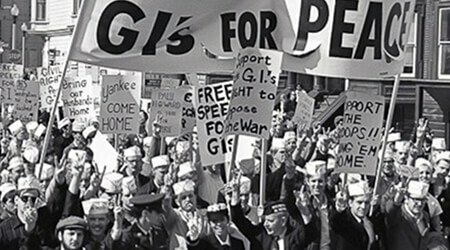 The complexities of this war make it difficult for many who served; VFP members respect the idea of honoring veterans who were shunned on their return but denounce a fictionalized version of the war itself. We are in Quang Tri Province at the DMZ, the former demilitarized zone that once separated South and North Vietnam. “You are standing in the most heavily bombed area in the history of warfare,” said Vietnam veteran Chuck Searcy, the American voice of Project RENEW [“Restoring the Environment and Neutralizing the Effects of the War”], a humanitarian organization he co-founded 15 years ago that helps victims of unexploded bombs the United States dropped during the war. Today lush foliage belies the past. One has to look at war photos to understand such pulverizing devastation when this province was destroyed — gray, bomb-blasted fields and land, village huts incinerated, civilians racing for their lives as fighter jets screamed overhead and B-52s marauded silently at 30,000 feet, dropping bomb after bomb after bomb. Some15 million tons of bombs were dropped on Vietnam — more than all of World War II — much of it here. An estimated three million civilians were killed during the decade of war. The serenity of a sunny day makes it equally hard to imagine the lethal presence of unexploded bombs still lurking nearby. “To me the U.S. bombings were an ultimate mass torture delivering fear, trauma, injuries and death,” remarked Californian Sally Benson, who, along with her husband, Steve Nichols, funded the Mine Action Visitor Center here in Quang Tri to teach awareness of the 300,000 plus tons of unexploded ordnance remaining in the province. Nichols and Benson met in Vietnam as civilian teachers during the war, returned anti-war and maintain close ties with the five veterans, visiting Vietnam often. How could anyone possibly survive, one wonders, imagining a daily hailstorm of bombs. We find out. We crawl deep into the Vinh Moc tunnels, moving slowly on slippery stones, hunching in the engulfing walls of earth, so close that one did not need to extend arms to feel them, cold to the touch. As we inch our way through the dark, tiny lights on our foreheads dimly pick out the winding narrow strip of earth as we go further and further down. It is hard to imagine even one baby born there, and yet 17 Vietnamese women had given birth deep in the soil during the years of “search and destroy” when millions of bombs pummeled their peasant huts and land constantly. Villagers lived underground for months on end; children, babies, mothers, elderly parents, ancient aunts and uncles: eating, sleeping, enduring. From 1966 to 1972 when the bombing stopped 300 Vietnamese lived in their mole-like world, digging nearly 100 feet underground. Back out of darkness, squinting in the sun, we walked to meet a nearby villager. His family thought him out of harm’s way; he was only four when the war ended in 1975. The man scooted over the ground like a crab, using his strong arms, pads protecting his knees. His legs ended in stumps just below. One hand was missing. He was not wearing his artificial legs, the ones he had to sell a cow to pay for. They were too cumbersome for the work he was doing, dragging pieces of used lumber to build a chicken coop. He was 20 in 1991, out looking for scrap metal, when an unexploded bomb, dropped 25 years before, blew up. Cluster bomb dug six feet circle indentations that can still be seen as dips in the green land. They contained hundreds of small but very lethal bomblets that were supposed to have exploded on impact. Only thousands did not, about 10 percent, Searcy says, citing an old Pentagon estimate. All these years later, they bring the war home again, exploding in fields and villages, killing and maiming curious children, farmers tilling their fields, poor peasants searching for scrap metal to sell. Official estimates put the number of casualties from unexploded bombs in Vietnam at around 100,000, including 34,000 killed. The true numbers are probably higher, says Searcy. We travel further south, to Nha Trang. This fashionable resort mecca — with high-rise hotels, turquoise bay and sandy beaches — is in wild contrast to another world that tourists do not see. We visit a spotless home filled with family mementos; photos everywhere, stuffed toys near a Buddhist shrine. Lying flat on a brightly colored mat are two sisters with horribly twisted limbs, spines too weak for them to sit up, ravished by Agent Orange birth defects, carried to them genetically through a Vietnamese soldier father. Their mother, with a smiling face and pleading eyes, moves them to a wall and props them up. Their bodies are so small that they look far younger than their ages. One is 30 and her sister is 20. An awkward silence envelops the room as visitors stand, helpless. Don Blackburn, another Vietnam Veteran who works non-stop to aid Agent Orange victims, plunks himself down between the two, as casually easy as a comforting friend. The sisters smile gratefully at him. Their father has left the family and the mother is frantic with worry about who will care for her daughters when she becomes too old or ill. It would be hard to underestimate the damage Agent Orange dioxin caused. Between 2.1 million to 4.8 million Vietnamese citizens were directly exposed to Agent Orange and other poisonous chemicals, according to the American Public Health Association. Agent Orange poisoned the soil where Vietnamese grow crops, the rivers and streams where they fish, and created cancer, illnesses and birth defects, now into this younger generation. From 1961 to 1972, U.S. aircraft sprayed poisonous herbicides, until this lush country looked as grey and denuded as the moon. In all, more than 19 million gallons of herbicides were sprayed over 4.5 million acres of land. However, the United States questions the Vietnamese Red Cross projections of the numbers of victims linked to Agent Orange cancers, birth defects and other chronic diseases. Americans who view Vietnam as an ancient war stare in shock when visitors returning from this country tell them that the dioxin affects children born today. 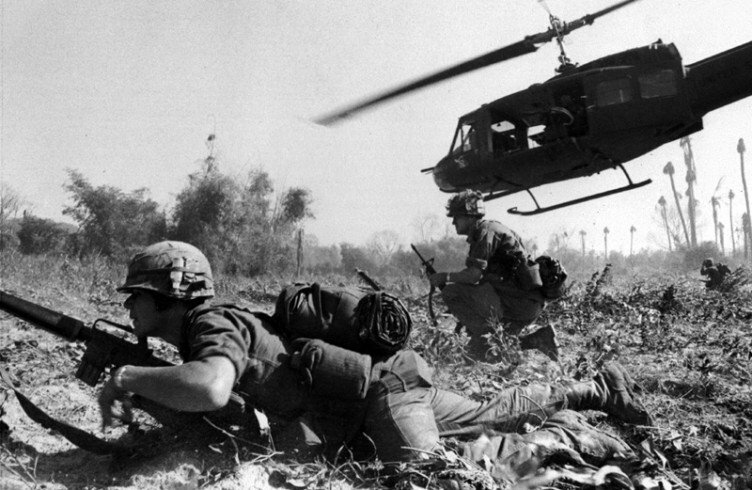 While American veterans who suffer from Agent Orange diseases had to fight governmental denial and scorn — President Ronald Reagan’s Veterans Affairs director Robert P. Nimmo dismissed Agent Orange as causing no more than a little “teenage acne” — recognition of related illness and compensation, although often inadequate, has finally happened. “It is hypocritical for the U.S. to place this unnecessary burden of proof on the Vietnamese while it does not do so for its own veterans,” says Palazzo, who works here with Agent Orange victims. He cites international and Vietnamese studies linking dioxin to health and birth defects here. The United States bristles at Vietnam claims that half a million children have been born with serious birth defects, while as many as 2 million people are suffering from cancer or other illness caused by Agent Orange. There is no measure to prove they are Agent Orange victims but some studies estimate that the rate of birth defects here in Vietnam has quadrupled since the war, and that most of them occur where Agent Orange was sprayed or stored. Like the other veterans who have returned to help victims, Chuck Palazzo’s past has very much informed the present. He came from a rough section in the Bronx and joined the Marines as a family tradition and to escape “from a very dysfunctional family.” His often absent father was abusive when around and his mother drank heavily. “My brother was the brains and an aeronautic engineer and I chose the gangs, stealing cars and all that,” Palazzo said. In Vietnam, Palazzo and six others, “would receive intel reports and go confirm exact ordnances, identify air to missile sights that were shooting down our planes. If there was some movement we would blow ‘em up ourselves. We saw lots of movement, NVA regulars, battalions. Living with survival guilt and his PTSD nightmares, his nervousness in crowds, and experiencing a failed marriage, Palazzo filed a claim for PTSD and received help. Genetically modified foods remain controversial; they are produced from organisms that have had specific changes introduced into their DNA using the methods of genetic engineering. GMOs are developed by Monsanto, which also produced Agent Orange. Software expert Palazzo is a one-man information bureau, blasting off emails by the second on any news about Agent Orange or UXOs and also attacking Monsanto, the makers of Agent Orange, along with Dow. Today there are still two Vietnams, but not north and south. They are the prosperous and the impoverished; the beautifully healthy young people riding motor bikes, break dancing in a bustling city, talking on cell phones — and those who have blown off limbs or lie immobile on mats or are grotesquely misshapen, such as a woman whose hands have several fingers and legs that end at the knees with flipper like feet attached. Only the thalidomide babies of the early 1960s mirror these flipper-like defects — those subjected to the chemical thalidomide while in the womb — taken by unsuspecting pregnant mothers to alleviate anxiety — experienced under-developed limbs, deformed eyes and hearts, and deformed alimentary and urinary tracts. 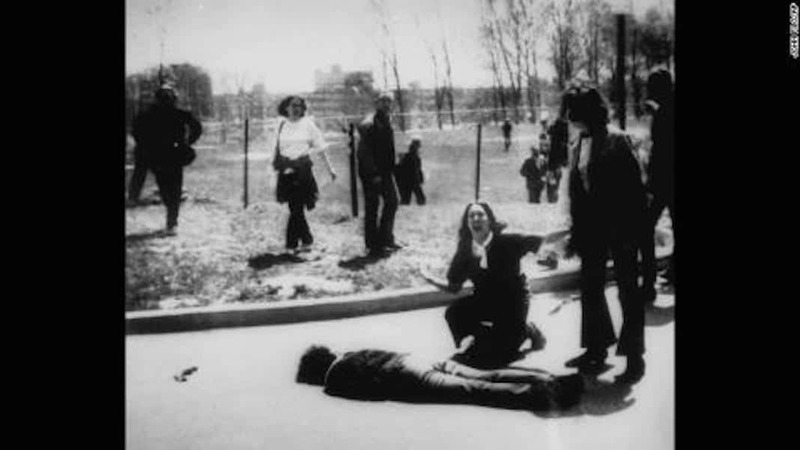 Unlike Palazzo, Don Blackburn’s rebellion began in Vietnam. After the war, Blackburn became a teacher in Oregon and, while battling PTSD, wrote searing poetry, now in a book called All You Have Given: Meditations on War, Peace & Reconciliation. Like many veterans who came back troubled from a war fought in and around civilians, this aspect was the most disturbing. Two of his disorderly conduct actions were for refusing to go on “search and destroy” missions and to burn hooches. Napalm was dropped from planes and shot from guns for no other use than to incinerate; bright orange walls of intense fire that spared no one and stuck to skin, impossible to shuck off. Victims were embodied in the 1972 Pulitzer Prize iconic picture of a nine-year-old girl running naked in terror, her body still burning, having torn off her clothes to escape the pain. No doctors thought she would survive but she did and after years of surgery Kim Phuc now lives in Canada. She was a carefree child when four napalm bombs were dropped on her village. As she and her family ran for their lives, several of them died that day. Nick Ut, the Associated Press photographer, scooped her up and rushed her to the nearest hospital. Today Kim calls him Uncle Ut, the man who saved her life and whose graphic photo became a rallying point for ending the war. Napalm also spawned a gruesome nihilistic cadence that remains on You Tube. With all my strength I hold onto you. I will not, cannot, let you go. Together we tremble in fear and sorrow. Our eyes bitten blind by swirling smoke. Our faces stung by wind-blown, fried sand. bursts into flame a few feet in front of us. With all my strength I hold you. Your heart pounds fierce through your chest. You try to pry and squirm loose. You yell at me to let you go. But I cannot, will not. You will run back into your fire-engulfed house. And cry, cry, cry until there is no sound. Forty years later, Blackburn returned to this woman in a poem. To put out those flames. Blackburn talks of his conflicted feelings as a 19-year-old. “I volunteered for the draft in 1966. I wanted to honor my parents by serving as they did. My dad was at Normandy and was a concentration camp liberator. My mother was a WAVE. They were believers in America — big believers in Lyndon Johnson and his hopes to end poverty in America. When I was threatened with jail time at LBJ — Long Binh Jail — I told my superior officers that my parents would probably be pissed off to find out we considered LBJ to stand for Lyndon Baines Johnson. Back home in Oregon Blackburn drifted, flunked courses in college, married and divorced twice. Finally in counseling he realized his denial and seething anger. He “suddenly got interested in college, got really good grades and started writing poetry.” He found out he had a knack for teaching. But he still had problems. The Vietnam Friendship Village, outside of Hanoi, was begun by an American veteran in 1988 and is now supported by international groups. It provides therapy and medical care for 150 children with mental and physical conditions, as well as education and vocational training. 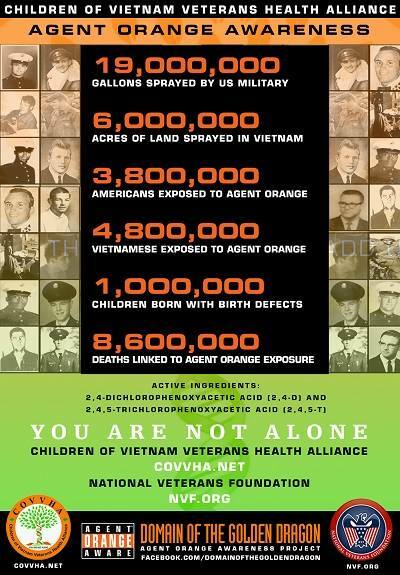 No one can say for sure that any of their defects were caused by Agent Orange. Some stare blankly, others greet visitors with smiles, handing them poems and giving them hugs. Some walk and talk awkwardly. Each year some North Vietnamese soldiers return for R&R and stay at Friendship Village. One day, when we left the village, a handful of them greeted our group that included visiting American veterans. Soon the names of combat sites were flashed back and forth. “Were you in A Luoi?” “Phu Bai?” Yes and smiles. They had been in the same areas, fighting on opposite sides. Americans and Vietnamese men reached out and hugged one another. One Vietnamese took off his medal, reaching high up to pin it on the tall, lean chest of Chuck Searcy. Another rebel both during the war and after was Manus Campbell, who saw fierce fighting from June 1967 to July 1968. One time Campbell’s squad was sent to secure an area following fierce fighting where Marines had been pinned down in a stream. In 2007, Campbell returned to Vietnam for the first time and visited a Pagoda in Hue where the Buddhist nun had founded a school for disabled children and an orphanage. (Poor families still have to give up their babies to adoption.) “I started to support the school financially; every month I would wire money and receive photos from the nun about her work,” he said. Campbell started his own NGO — Helping Invisible Victims of War — lived in Hue and now in Hoi An, continuing to help buy food and blankets for two very poor minority tribes who live near Khe Sanh and A Luoi. He also buys artificial legs for bomb victims, supports several children at the Khanh school for the disabled. Chuck Searcy, a lanky Georgian with a Southern drawl dwarfs the Vietnamese with whom he spends his days. One night, sitting in the rooftop bar of Saigon’s storied Caravelle Hotel, he remembers the night in 1967, dancing his last dance with his former fiancée, who had just arrived in Vietnam as a Red Cross volunteer. The Caravelle, now in the renamed Ho Chi Minh City, was famously home for war correspondents; some trying to be the new Hemingway, downing drinks, watching air strikes across the Saigon River from the roof, so close but so safely removed. Because of his role as an enlisted intelligence specialist in Saigon, except for the 1968 Tet Offensive that reached the southern capital, Searcy felt he had been untouched by PTSD in comparison to Blackburn, Campbell and Palazzo. In 1986, Searcy helped Wyche Fowler win an incredible upset victory to become the U S Senator from Georgia. Searcy became Fowler’s press secretary for two years. The last of the five, Mike Cull, was a “social work technician” with the 8th Field Hospital in Nha Trang. Cull’s job was to help with what would later be known as PTSD patients. “We failed miserably,” Cull said. Cull returned to Vietnam in 1998 to work for seven years for Vietnam Friendship Village, with Suel Jones (who was not in Vietnam during this interview.) After retirement, Cull became a volunteer teacher at Nha Trang University and recently celebrated his marriage to a Vietnamese, assisted by the other American veterans in a joyous ceremony. Cull and his wife, Lan, operate the Vietnam Advanced Language Center for 150 students. So many visitors to Vietnam remain startled at the friendliness of a people who were so bombed and burned out of their homes and lost family. “They love to say ‘the past is the past,’” says Campbell. Tourism is the coin of the realm in a country that swirls with constant action. Google Vietnam and tourist sites clog the screen — offering lush beach hideaways, silk clothes made overnight, restaurants galore, combined with trips to battlefields and museums that show graphic pictures of war crimes. Motorbikes piled with parents, children, food and live ducks surf through Hanoi at a pace that makes crossing the street feel like running with the bulls in Pamplona. It is nigh impossible to find a bad meal in the restaurants throughout Vietnam (although one sees signs for Texas-style burgers). An upscale restaurant in Hue, a city so bombarded during the 1968 Tet Offensive, has risen out of wreckage to splendor, complete with an award-winning concert pianist playing background music. There is a tolerance for different life styles as well as religion; gay clubs outside Ho Chi Minh City are ignored by authorities, Miss Universe contestants are celebrated, Vietnamese who have become rich crowd a beach resort near Hoi An that charges close to $2,000 a night for two bedrooms and a private pool. Rumors abound that the Russian and Ukrainian mafia have been involved in Vietnam’s tourism; until recently there were daily non-stop flights from Moscow. Vietnam remains Communist, but Buddhism is powerful, recognized almost as a national religion, with colorful ceremonies seen in temples everywhere and Vietnamese visiting at all hours of the day, just as they do Ho Chi Minh’s Tomb. Smoking barrels are ever ready at the North Vietnamese equivalent of Arlington Cemetery, where Vietnamese light incense sticks and place them on graves. We found the grave of a boy of 19, like so many of those on the side of the United States, and placed an incense stick. Successful younger Vietnamese, heavily into tourism, have only distant memories, if at all, of the Hunger Years following the war, when the Communist regime passed a moribund Five Year Plan of Recovery, forced those who fought for the South into “re-education camps” and the United States imposed a trade embargo. President Bill Clinton lifted the embargo in 1994 and normalizing of relations began in 1995 with Douglas “Pete” Peterson as the first U.S. Ambassador to Vietnam. As a former P O W in Vietnam, Peterson brought great symbolism to this reconciliation. Searcy says the authorities neglect environmental hazards as they fill beachfronts with fantastic hotels and ignore earlier promises to keep access to these beaches for Vietnamese families. Searcy is the unofficial good-will ambassador for visiting Americans and gets American press for his Project RENEW. Its “goal is to make Vietnam safe – not to ‘clean up every bomb and mine’ which is a misleading and distracting, and unrealistic, aim,” says Searcy, the only American advisor. These 30 somethings, like Ngo Xuan Hein and Luong Tuan Hung, whip- smart on computers, bilingual, at home in blue jeans like their American counterparts, tell the Internet world of projects to aid poor families, like growing mushrooms and buying cows. The Vietnamese teams are also the ones who take on the dangerous job of locating and detonating bombs, responding to daily call-ins from local residents of cluster bombs and other munitions found in their gardens and along roadways. Within hours the teams destroy or safely remove the lethal threats. These five American Veterans in Vietnam have become adept beggars, in the noblest sense in their sometimes futile pleas to raise awareness and money to aid this hidden side of Vietnam. Searcy returns to Congress, pressing for humanitarian aid, and though the U.S. government has provided significant funding, most of Project RENEW’S recent support has come from other governments — Norway, Japan, Taiwan, Ireland and assistance from Australian veterans. Modest funding has come from private U S donors. Easily found on line, Project RENEW notes that for the price of an upscale dinner for two or three, one can buy an artificial limb (about $200-$300) for children and adults on a waiting list; getting this to happen is not easy in a complacent America. Incensed after a trip to Vietnam in 2014, Sen. Patrick Leahy, D-Vermont, made a successful plea — asking congressmen to imagine how they would feel if their grandchildren risked death or maiming by merely playing in a field. 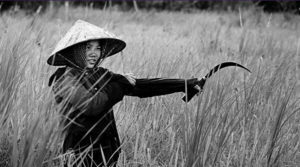 Congress nearly tripled the small amount of funding for UXO removal projects throughout Southeast Asia, including Vietnam. But humanitarian funding remains an uphill battle. For pennies a day from Americans a full year’s education for an Agent Orange child could be achieved also on the web. Activist Michael Moore honored his late father by recently giving money to the VFP Agent Orange effort. Da Nang: In intense heat we climbed a ladder reaching to the top of cement blocks, piled 20 feet high, which would become part of a giant mausoleum to bury deadly Agent Orange contaminated soil. From the top we could see the houses of Vietnamese close by. Estimates of the amount of dioxin in the soil at Da Nang are staggering. A general standard is that dioxin levels must not exceed 1,000 ppt (parts per trillion) in soil .Dioxin levels of up to 365,000 ppt were found at Da Nang, Dioxin at this level calls for “immediate” remediation, experts say. The structure we visited earlier is now covered and, inside this large space, deadly dirt is being treated. The project is jointly implemented by USAID and the Vietnamese Ministry of National Defense. The initial cost was estimated at $41 million, but has reached $84 million, and may grow as the project is now expected to last until 2016. Poisoned soil and sediment is placed in this enclosed above-ground structure. Heating rods, operating at approximately 1400 to 1500 degrees Fahrenheit , raise the temperature of the entire dirt pile to at least 635 degrees. At that temperature, the dioxin compound is supposed to decompose into harmless substances. 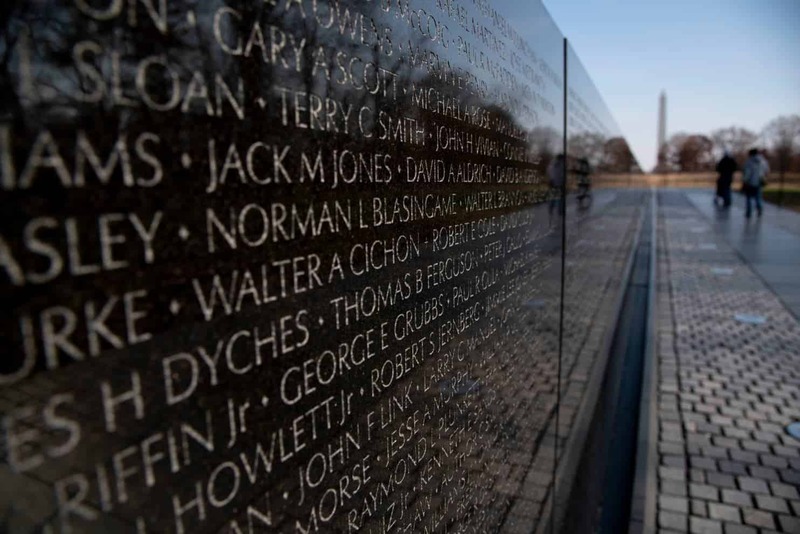 Meanwhile the five Vietnam Americans living here concentrate on giving their all to help victims of Vietnam War’s lasting legacies — and fighting any whitewashing by the Pentagon of that war. Myra MacPherson is the author of the Vietnam classic, Long Time Passing: Vietnam and the Haunted Generation. She has continued to lecture and write about Vietnam and veterans. MacPherson toured Vietnam with the five American veterans and has kept in close communication upon her return. Thank you Myra McPherson- for this article and, most especially for your book “Long Time Passing…” and thank you VN Full Disclosure for rounding up these pieces and sharing them with us.